After purchasing a larger home with us to fit their growing family, it was time to put this family’s Central District townhome on the market and snag a quick sale for them. 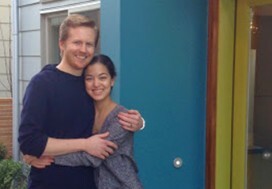 They moved into their new home which then left the townhome vacant and ready for us to get market ready. Staging came in to give scale to the spaces. Our favorite vendors, whom we affectionately call “The Dream Team”, were brought in to get things ready. 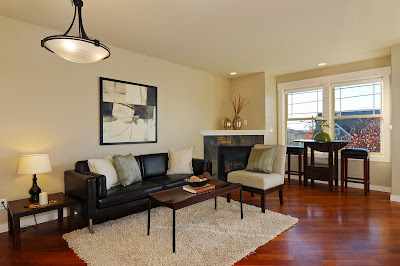 They prepared bids for our sellers and painting was done to freshen up the spaces, new carpet was installed, and the professional team of photographer and videographer were brought in to capture the spaces. A comparative market analysis was done to price the space and voila, we were ready to shine. 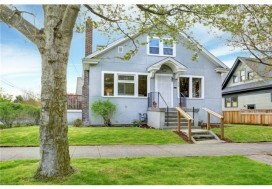 Marketing was launched, open houses were done and an offer was procured in only 4 days. Quick and painless. And that is what we aimed for. We marched through the closing process so these folks could move on to the next phase of life. Thanks for trusting us to help you with your house purchase and townhome sale Brian and Cheryl!